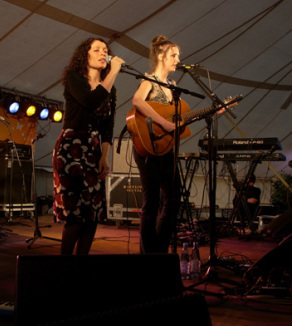 ​The Lewis Sisters and Sir Martyn Lewis ( BBC News ) perform their special Christmas Show 'The Lewis Family Christmas Hour' in London at The Green Note on Wednesday the 12th December and Brighton at The Latest Bar on Tuesday 11th December. Introducing third Lewis Sister, Carrie Lewis from Barcelona who will be bringing her sultry jazz stylings and deft harmony singing to the trio. See 'Gigs Page' for more info and tickets. Late Summer from PLOT 22 on Vimeo. The Lewis Family Christmas Hour at The Grey's pub 20th December, Brighton Uk. Happy December everyone! 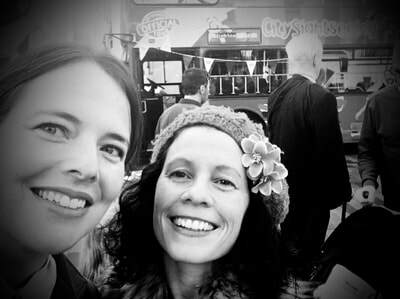 I am excited to announce that I will be performing a Christmas concert on the 20th December at The Greys pub in Brighton with my dear friend and songwriter Sylvie Lewis. We will be debuting our new act The Lewis Sisters and have invited Sylvie's dad Sir Martyn Lewis to make a special appearance. The concert is a fundraiser to save our local pub/music venue The Grey's. For more info about raising funds for the pub please follow the link: www.crowdfunder.co.uk/save-the-greys. An evening of seasonal songs and entertainment. 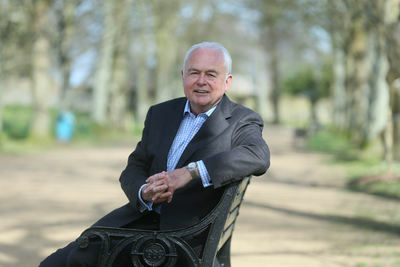 Featuring Sir Martyn Lewis (BBC News) and The Lewis sisters. Sylvie Lewis pairs up with Sharon Lewis (no relation-ex Pooka) to sing carols and classic old country tunes, think Hank Williams and The Everly Brothers and brings her dad in tow for a very special appearance and performance of The Dylan Thomas poem ‘A Childs Christmas In Wales'. Hello folks, I recently added my vocals to the song Keep On Humming which has been recorded for the Hummingbird Project; an organisation from Brighton that continue to support the refugees in Calais and Dunkirk. Please check out the video to hear the song and to see the great work they have been doing. Will ye go lassie go?" I hope everyone has survived Christmas and the winter so far. Some good news is that I have a brand new video for my song Roses At The Top from my recent album with the same name. Please go to the video page to view it, it's very wintery and features lot's of imagery shot in the countryside of East and West Sussex. My other exciting news is that in the summer I produced a record for my German friend Male featuring four of her original songs and here it is!!!! Please click on the link below the picture to hear a song from the record. If you would like to order a copy of the EP please contact me here and I will send you Male's details. I have some nice support slots coming up that I am would like to tell you about. On the 30th November I am supporting the brilliant Wallis Bird at The Komedia in Brighton....Wallis and I performed together back in 2011 as part of Anais Mitchell's folk opera Hadestown. I am looking forward to seeing her perform again and share the stage together. Hey folks, I start my west Country tour next week in Frome on the 16th at The Cheese and Grain performing with the brilliant Fiddes Smith followed by a solo live performance on BBC Wiltshire Radio on the 17th then couple more solo shows in Devizes and Glastonbury. See gigs page for more details.... hope to see some of you there. Looking forward to some new adventures and catching up with old friends. I hope everyone is enjoying the sunshine and the golden daffodils that are now in bloom. Good news! I have now added a digital music shop to the site so you can buy mp3 downloads as well as CD's. 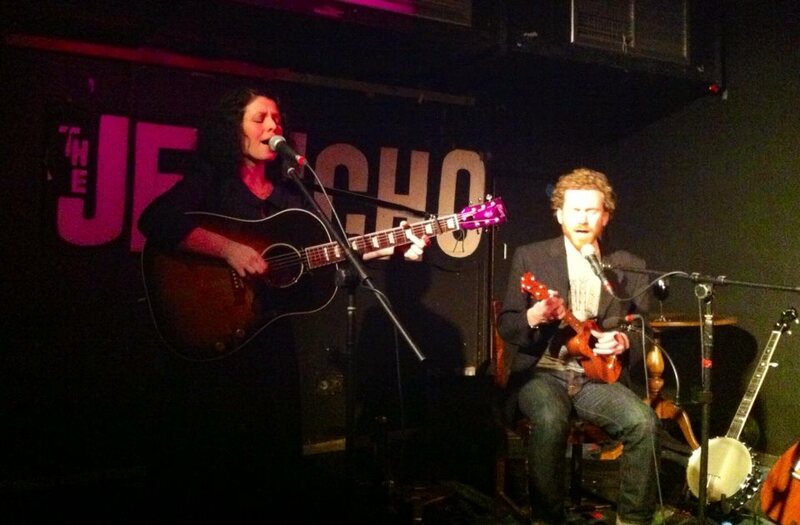 Here is a lovely memory of our short tour with Anais performing her great song Dying Day as her encore, and a photo of myself and fellow musician Fiddes Smith supporting Anais at Oxford's legendary music venue The Jericho. Also if you go to the video page you can see some highlights of my launch concert at Brighton's Unitarian Church last December. Tomorrow is the first of two gigs with Anais Mitchell. Last night I went to see Anais play in Brighton and what a wonderful show it was. Just her and her Kalamazoo guitar, so great to hear the songs stripped down and naked. What a nice surprise today folks...Guy Garvey from the brilliant band Elbow played a song on his BBC 6 radio show from my old duo Pooka and also tells a story about how I saved him from bully's on the school bus when we were kids. Great news is that I am supporting the very beautiful Anais Mitchell on Thursday 6th March at The Portland Arms in Cambridge and Friday 7th March at The Jericho Tavern in Oxford. I am such a fan of her music so it is great to be on the same bill as her. I hope some of you folks can make it to the gigs.. Here is a link to Anais performing a gorgeous new song here. Also here are a couple of old pics I found of Anais and I. The first one is of us performing together in Brighton a few years back and the second picture was taken at the London performance of Anais's folk opera Hadestown in 2011. 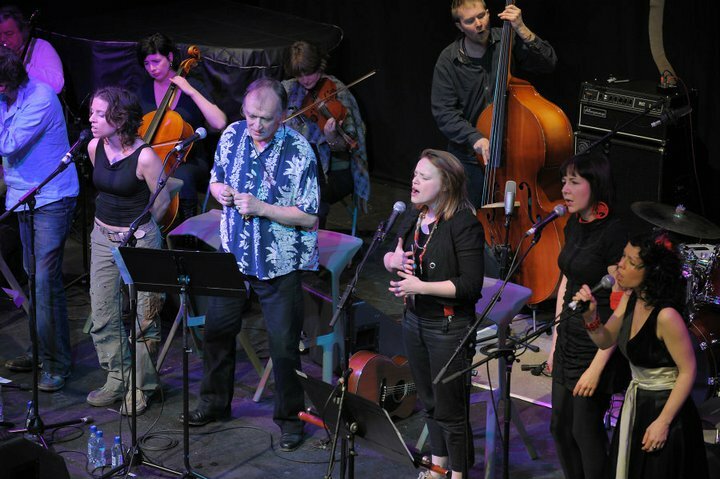 I played the part of one of the fates, other artists performing were Ani Difranco, Thea Gilmour and Martin Carthy. I have made a new video for my song Boxers Glove from the Simple Things EP. Please go to the Video Page to view it. Really looking forward to playing with a host of brilliant musicians including string players Mike Simmons from the mountain firework company, violinist Annie Kerr and experimental cellist Bela Bela. Also performing is jazz trumpeter Dimitris Moudopoulos, Anjuli Harara on Saxaphone and vocals, Brendan O'Sullivan on electric guitar and backing vocals, David Ronchetti on bass guitar and last but not least Rowan Sterk on drums. 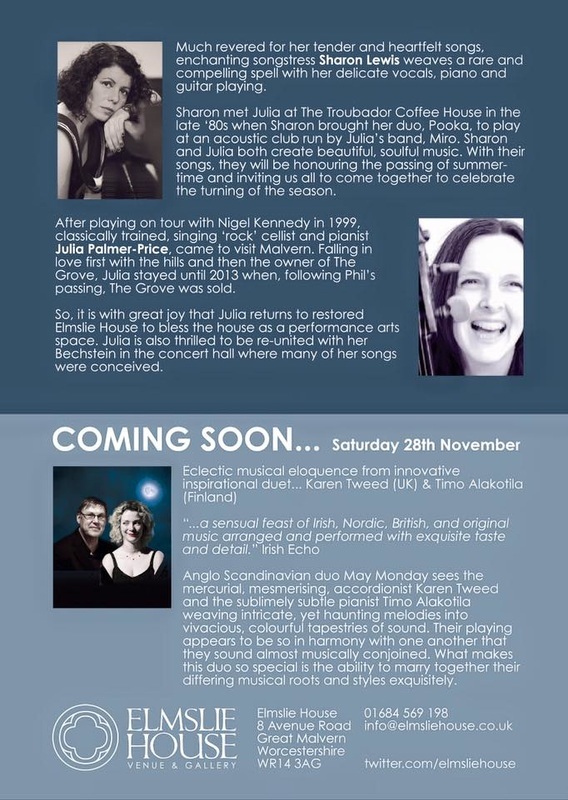 I am doing an album/EP launch concert on Saturday December the 7th in Brighton at the amazing Unitarian Church. 2. I will have a string section, drums and bass, saxophone, trumpet, guitar and beautiful backing vocals by Anjuli and Brendan O' Sullivan. It's going to be mega! To listen to samples please click on the Music Page. To order my music click on the Shop Page. The plan is to start my blog while I am away to keep you all updated with my travel news.... hope to see some of you out there. Starting tomorrow at Vogel Der Nacht Festival in Bensheim, I will be making a short tour of Germany from the 11th August until the 19th August. 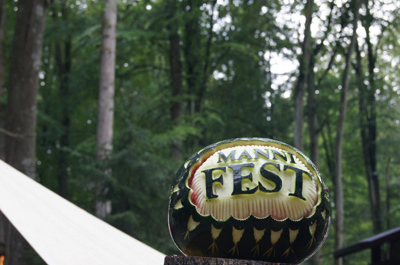 I will be returning once again to the wonderful Mannifest Festival in Lahntal and will be playing some other concerts along the way. It's taken me 2 years to get this far and I am now, very soon ( I still want to record some hand drums on a song and some cello and and and.... ) about to start the mixing process. I would really love to find an artist or illustrator out there who likes my music and may be interested in either designing a cover for the album or contributing something they have already created that they feel resonates with the songs. The album is quite a magical journey with songs about longing, hope, loss, friendship and transformation. The inspiration behind 'Roses At The Top' (which is also one of the songs on the album ) is of a spiritual journey in life and the quest for self knowledge and self love. The emotional landscape of the song is a mountain that one is climbing to reach the roses at the top. The mountain symbolising life's trials and the roses symbolising enlightenment, contentment, peace. Other song titles include 'Kings and Queens' a song about transformation. Hello folks... 2011, summertime and I am slowly emerging from the underground. Roses At The Top (my 2nd CD) is nearly finished.... just needs some mixing. 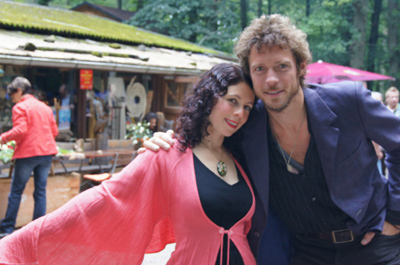 Today I returned from performing at a beautiful festival in Germany called Mannifest, my friend Jont played there too. The festival was set deep in the forest with Tipi's and peacocks. I met some wonderful people there and came back feeling truly inspired. In three days I go on my next adventure with Esther Bertram. Leaving on Friday Esther and I start our 10 day European tour, taking us to Germany, Belgium and Holland. Please see Gig Page for more details. In January 2011 this year I performed in the folk opera Hadestown. The musical was written by US songstress Anais Mitchell and featured an all star cast of musicians and songwriters including Ani Difranco and Martin Carthy amongst others. I sang the part of one of the fates, the other two fates were sung by Wallis Bird and Nuala Kennedy. It was a truly inspiring show to be involved with and I felt so honoured to be part of it. Here are a couple of pics from the show at Celtic Connections Festival in Glasgow. Whilst at The Grove, Ben from Birmingham came down for a day to record some drums. I must admit I was quite anxious as I had not recorded drums before. Fortunately the internet came to my rescue: advice on how to mic up the kit. Phew! next we had to choose which room to record them in: the large concert hall, the basement, the lounge. Lots of things to take into consideration when recording drums. The sound of the room is very important. 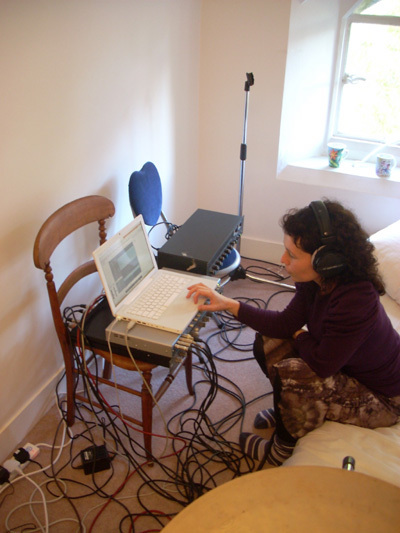 We eventually decided on the small attic room as it was carpeted with low ceilings for a more manageable sound. It's been a while folks, I know, but I have a good excuse... yes, I have been submerged in recording my album. Last week I packed up my studio and traveled to my favourite place in the UK, The Grove, Malvern, to record my friend and sublime cellist Julia Palmer. Taking my laptop, mic stands, loads of cables and a selection of microphones I embarked on my first mobile recording adventure. The Grove is where Julia and her family live, a magical rambling house with many rooms and a beautiful concert hall. During the summer months my musical shoes took me to Latvia to sing with The Climbers and a month living the gypsy life style, busking and playing festivals in Europe with my friend and fellow songstress Esther Bertram. 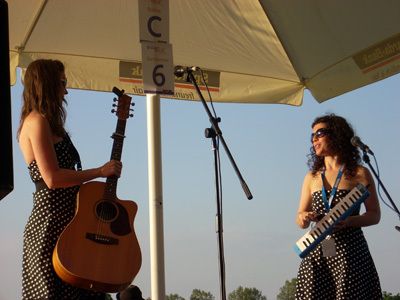 This pic was taken at Strassen Music Festival in Germany, May 2010. I am organising a house concert in hove featuring Arjun Baba ( harmonium, vox ) and Jason Kalidas ( tabla, Indian flute ). They will be performing inspiring indian music. I will be performing a set of my songs, inviting special guests to perform with me, would love to see you all. Click on the link opposite to find me. 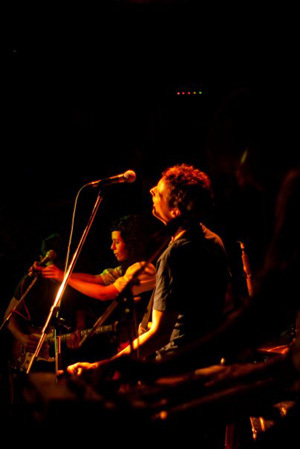 The Climbers release their debut album called The Good Ship setting sail in March this year. The Climbers are a new band featuring the heart and songbook of Tim West with Nick Hemming and Christian Silva of The Leisure Society. It's a brilliantly crafted album with great songwriting and excellent production from Christian. Each song features different singers. I am featured on 2 tracks, 'I Will Never' a duet with Nick Hemmings and 'Uncommon' a duet with Dan Michaelson from the band Absentee. and joining the band for their live radio session with Marc Riley BBC 6 radio on Thursday 25th Feb, going out live 7pm. Tune in!!! Tonight I am at the legendary Catweasel Club in Oxford that songwriter Matt Sage runs, it's an inspiring performance space for poets, songwriters and dreamers.... if you live in Oxford you must check it out! Matt and I will be singing our song we wrote together called I'm In Love With A Boy which is on his new album Let The Music Out which he is launching tonight. Happy 2010 folks, yes this year I am to be a busy bee making honey in the hive and hopefully giving birth to my new album Roses At The Top which I am currently working on. I have also been enjoying singing/collaborating with many good friends on their recordings and playing live. Recent collaborations have included writing and performing a song for the 1 Giant Leap album 'What about me'. The song is called 'Forgive me' and is featured alongside songs performed by artists such as Alanis Morrisette and Michael Stipe. 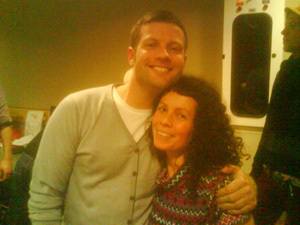 Here are some pics from our radio 2 session with Dermot O' Leary who is a really lovely guy. 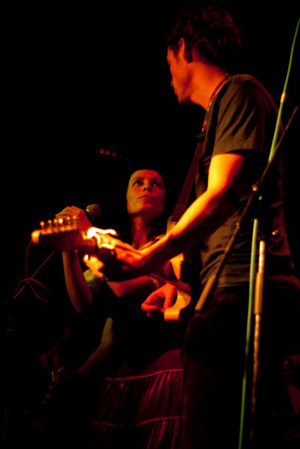 Below are some pics of Jont's recent gig at The Lexington. 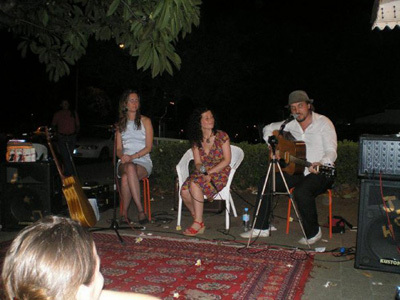 In the good old fashioned troubadour style, Nikolas Barrel, Esther Bertram and I formed a band called Urban Bluebird and took our songs and stories to Australia. 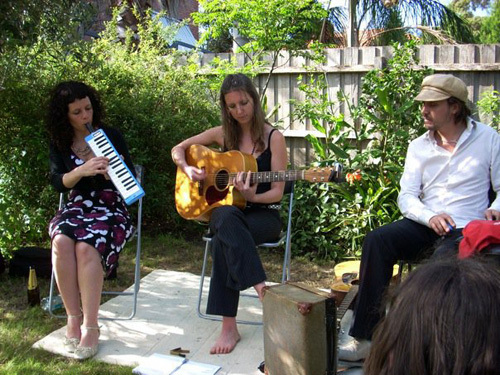 Traveling from Melbourne to Brisbane, we played garden concerts, tea houses, clubs and street concerts. Here are some pics from our travels..
Hello people, I just wanted to tell you about the Ryedale Live CD now available to buy... it would make a lovely Christmas present. The CD is a compilation of many acoustic artists including myself, Edwina Hayes and the wonderful Alastair James. All proceeds go to RYEDALE SPECIAL FAMILIES charity which supports over 350 families of children and young people with disabilities and special needs throughout the Ryedale area in Yorkshire. area including setting up Ryedale Live which puts on beautiful concerts in village halls bringing musicians from out of town and also involving local musicians. please email mail@ryedalelive.co.uk or telephone: 01653 690503. Good afternoon folks, I have just returned from gay Paris where I played a concert for my good friend Salome, celebrating her 30th birthday " Happy Birthday Salome! ". It's very cold here in England and Paris we are truly in winter now...brrr!! Please come out and play, we'd love to see you all!! American songstress Rose Polenzani releases her brilliant new record 'When The River Meets The Sea'.... featuring a cover of my song 'She Is A Rainbow'. Go buy it, you won't regret it. Hello friends, I invite you all to this beautiful event, One Love, a multi cultural evening featuring highly regarded kirtan singer Arjun Baba (harmonium and vocals) collaborating with Indian classical musician Jayson Kalidas (Flute and tabla). Together they will lead us with call and response chanting performed in Indias devotional traditions. From Jamaica writer Tchandela will give a talk about rastafarian spirituality, his book 'Visions of Faith' will also be available to buy. 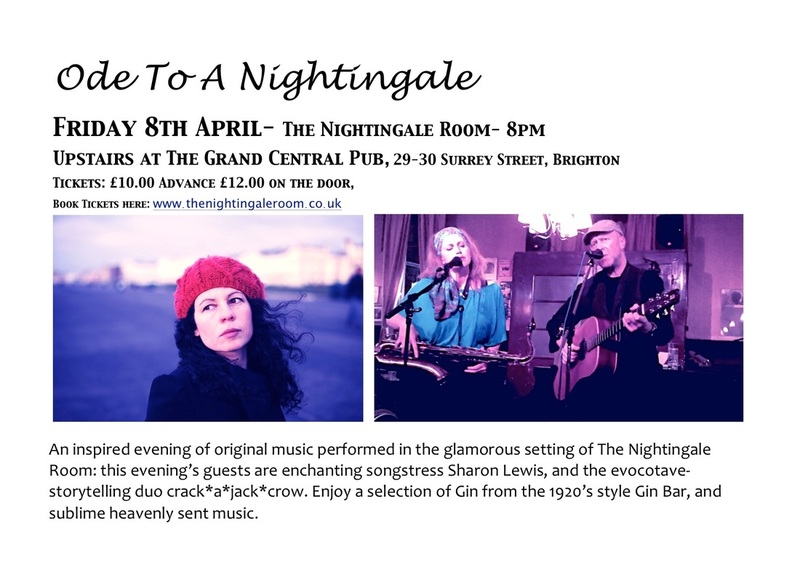 I shall be opening the evening with a set of songs performed on grand piano, guitar and ukelele. Authentic vegetarian Jamaican food will be prepared by Kush, yummy Rum punch and soft drinks will be available too. When booking please let me know if you would like to eat aswell. Brighton has been sweltering hot the past few days and I have taken to the streets with my ukelele to busk in the sunshine. I've only been playing the uke for a few months now but I'm having such fun learning old and new songs and writing a few on it too. My favourite song to play at present is The Swimming Song by Louden Wainright who is a songwriting genius!! check him out on Youtube!! I've got a few festivals coming up in August and some shows up north in November, I'm also currently working on some new recordings. Rose and I drove thousands of miles on our tour around the States, on the second day of the tour the CD player in the car broke....which turned out to be a blessing in disguise as we ended up rehearsing and even writing songs in the car...this particular song Burn So Fast is a song of mine originally written with a jazzy piano part but Rose and I came up with this accapella arrangement in the car. Filmed on the day I was leaving, Rose and I had a crazy media day...recording and mixing songs, making video's etc...we managed to grab Rose's flat mate Brian for 5 mins to shoot this film which was shot round the corner from Rose's house in Boston. If you like this check out the links to more video's below on my last news entry. ​I have just bought myself an up to date apple mac computer which is very cool and can do amazing things like video editing amongst other stuff etc...so thought I'd share some of the video's that were made in the states by Rose Polenzani and I whilst we were on tour there in June. Rose has the same computer as me and we recorded these 2 video's on my last night in Boston. To say farewell Rose put on a dinner party for me and invited her muso friends round who are in a band called Session Americana, after dinner all eight of us crammed into Roses tiny office and made these video's....I hope you enjoy watching them as much as we did making them. Here I Go Again is a cover of the famous Whitesnake song. Hello folks I am writing to you from Chicago mid tour with Rose....we are staying with Rose's parents, downstairs I hear Rose's mum playing the piano and outside I hear the cicadas ebbing and flowing like the tide, it's an incredible sound...they sound like one of those rain sticks that you turn upside down, Rose describes the sound as a highway in the sky. Apparantly every seventeen years the cicada eggs hatch from under the ground, they come out in a shell which they eventually break out of..... grow wings, fly, mate, bury their eggs in the ground and then die....the eggs gestating underground for another 17 years. The tour has been going really well so far and all the concerts have been wonderful....thanks to all the amazing people we have met along the way who have put us up, fed us and shared stages with us. Rose and I have also made a mini album together for the tour called Kings and Queens which is also the title of one of my songs. If you want to see pictures of the tour, Rose has a gallery up at her sitewww.rosepolenzani.com I also have a song recorded from our Atlanta show up on my myspace page and a video go to www.myspace.com/sharonlewis. I am delighted to announce that Rose and I will be re-uniting for a summer tour, updated on the gigs page are all the US dates throughout June. I will be performing new songs and we will be releasing an ep of songs recorded together. I have also been rehearsing with a band which is keeping me inspired and taking my songs in a new direction, will let you know when our debut show is. Hello folks, it's September again and the summers cooling down, Autumn is blowing in...I have a few September gigs listed on my gigs page and would love to see some of your friendly faces there. I have also been writing a blog atwww.myspace.com/sharonlewis where I have written about my recent trip to Majorca recording with 1 Giant Leap and other stuff that interests me like dancing. I hope everyone has had a wonderful summer, our's was short but sweet. Here in England we count ourselves lucky if we have a summer at all. During this years Brighton Fringe Festival I will be performing each week at The Sanctuary Cafe. Under the banner Birds Of Paradise I have invited an exotic flock of songwriters, dreamers and poets to join me. Featured artists include the wonderful ADRIEN MUNDEN ( Audioporn ) performing a solo acoustic set, brilliant gothic poetess NAOMI FOYLE, quirky and theatrical popsters CHARLEYVILLE, Oxford romantic MATT SAGE and his Orchestra of Love, heartbraker MARK ABIS famous for writing Summer Breeze (recorded by Emiliana Torrini). 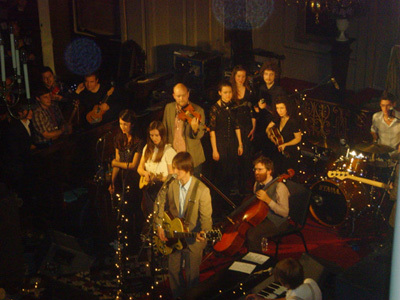 Dark brooding country from NICK BARREL and THE GIN CLUB plus beauty weavers THE DRESS CIRCLE. I am really excited about all the artists performing. Please see the gigs page for dates, times etc... you can also book tickets from The Fringe Office tel 01273 709709. Booking is advisable as it is a small venue, title of the show Sharon Lewis. I played at a club called Ginglik on Wednesday night, the place is situated in the middle of Shephards Bush Green London and apparently used to be a toilet. It was an acoustic night and each act played 4 songs. What was really interesting about the evening was the live illustrater Gailen, who drew everyone's songs. There was a slide projecter so we could all see the sketches take shape. After my set I purchased all four pictures for a tenner. Above is his interpretation of my song True Love, as you can see it's a bitter sweet love song. Also I met a lovely woman called Kirsty Hawkshaw who is a beautiful singer and she has invited me to join her at The 12 Bar Club, London next Thursday night. I will put more info on the gigs page. mesmerizing haze of exquisite feeling. Highly recommended. Just confirmed that I will be playing in Berlin on March 2nd at East Of Eden book store. Go to gigs page for more info. I am really looking forward to going back there, it's such a fascinating city. Also I have just started playing Keyboards and singing back up with my friends Nick Barrel and Dave Roncetti, their band is called The Gin Club and it's gorgeous music. We are playing on Sunday if you fancy it.... see gig page for details. My friend and fellow musician Brian Glancy died on Saturday. I didn't know Brian that well, but we go back many years to my Manchester days. I met Brian through my friend Johnny, they used to play in a band together. Brian was a regular at The New Troubadour Club which was a songwriters night that my friend Paul Chi used to run in Manchester. I met some wonderfully talented and eccentric characters at that club. Brian was a great songwriter with originality and a strong northern style. After I moved to Brighton I would occasionaly see Brian when he played a gig down south, fortunately last year I got to see him on a couple of occasions. I was really touched when he turned up to a house concert that Paul and I played in Prestwich last April, he put the word out and brought all his family and friends along and also played a couple of songs. The second occasion was August when Rose Polenzani and I played the Night And Day Cafe in Manchester, he didn't know we were playing and had just gone there for a drink. He'd just missed our show but I got to chat with him. My heart goes out to Brian's family, phill, David, Rob, Zoey. Brian lives on in memory and music. John Price passed away November. We used to play in an Irish band together when I was about 19, I played accordian, John played Irish drum and Tabla, Patrick on banjo and Eddie Boyd on guitar. 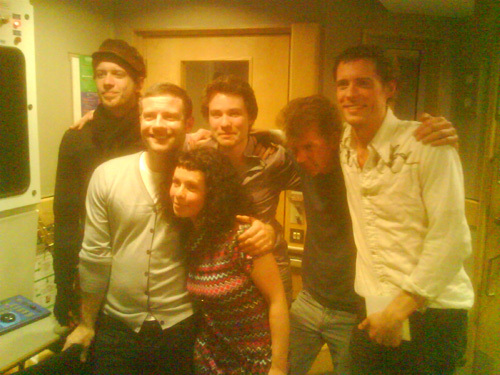 I loved being part of that band, they were all amazing musicians and I got to sing some great Irish songs too. We played together for about a year and then I left manchester to study in Nottingham. 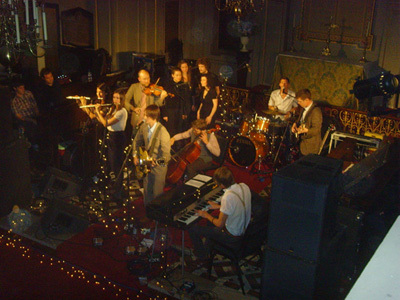 John also played on the first Pooka album. I didn't really keep intouch with John over the years but have really strong memories of that time together. After I heard the news of John's death I headed off to the park to be alone and remember him. I walked for a while and ended up in a cafe...how strange that the music playing as I entered was The song Of The Chanter which was one of the Irish tunes we used to play together. Hi there, it's been an exciting December so far. Our friends Nizlopi are at no 1 in the British pop charts! their music is beautifull, go buy the single The JCB song, it will make a great Christmas present. Also just written a song with my friend Matt Sage. Here's a picture of us recording it at my flat. The title is I'm In Love With A Boy and it's full of longing. I will be playing a show with Matt in April so hopefully we will get a chance to play it then. 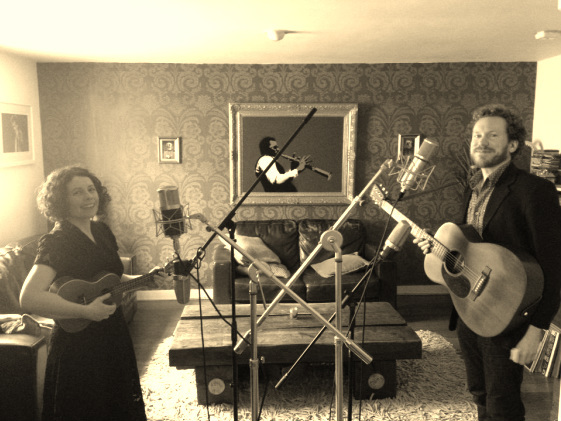 You can listen to a couple of new recordings there, She Is A Rainbow as a duet with Rose Polenzani and Waiting Game recorded in the States with Rose and Josh Cole. The autumn is falling, moody skies and tumbling waves thrash against the shores of Brighton beach. New in ' Crazy October Days ' video on Music + Video page and also pics from mine and Rose's summer tour on Photo's page. Also there is an interview with myself and Natasha Jones from Pooka in a new online music magazine dedicated to female muso's called Wears The Trousers. Go check it out! it's a great site. Writing to you from The Malverns, Worcestershire. 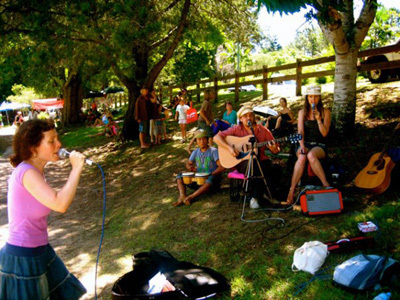 We have had a couple of idyllic days spent with Julia and her family, who hosted our house concert. On Saturday I took Rose on a walk up the hill, it was so steep!. But when we reached the top, so beautiful. We had a great view of the town and surrounding countryside. On the way down we took a more winding route and chatted about Paul Simon's music and lyrics. We are both big fan's. see loads of pics on Rose's gallery. Go to www.rosepolenzani.com. Rose and I just got back from our first gig tonight. It was a great show and it was so much fun to sing with Rose again. Just wanted to let you know there has been a change of address for The Loughborough gig on the 18th of August. Go to gig's page for more info. A strange word to spell. I went to a gig last night and heard a songwriter called Danny George Wilson. He was a very moving lyricist. In one particular song 'I will be there for you' inspired by the burning down of Brighton's West Pier, he compares the decaying pier to the unquestionable love and strength he shares with his wife. This song made me yearn and cry. Another song ' Ladder To The Stars ' dedicated to his brother he reflects on their childhood and how as they have grown older they rarely have time to see each other. Poignant and Heartfelt stuff! If you go to the gigs page you can see new tour dates for August. Joining me on this tour is American songwriter Rose Polenzani. Last year I toured the US with Rose and I'm really excited to have her on the road with me. Our first show will be in Brighton at The Sussex Arts Club on the 3rd August. 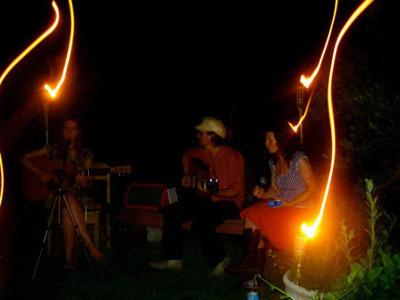 Also on the bill are the fantastic Mountain Firework Company. Other gigs take us to Wales, Cornwall, Nottingham, Leicester, Manchester, London etc...Hope to see you there! We are also open to playing some house concerts. If anyone is interested in hosting one please email me via this site. Just to remind you that I will be on BBC SOUTHERN COUNTIES radio this Thursday 26th of May. Hi folks, sorry this is late notice but I will be on the radio tomorrow Friday 1st April at 4.30pm till 5.30pm, speaking and singing live. The station is Resonance FM 104.4FM. You can get this station if you live in London, if not tune in online atwww.resonancefm.com. I will also be on BBC Southern Counties radio on Thursday the 26th of May between 7 and 8pm, this is a local station for East Sussex but I imagiane you can get this online too. I loved Freddie Mercury and Queen, but that is not the reason for my news update. I know it's a little short notice but I will be appearing on the radio tomorrow evening from 7-8.30 pm British time. The station is Resonance FM and I believe you can get it online. However if you live in London you can catch the air waves for real and tune in on your radio. It's a cool independant station right in the heart of Soho, London. The show coincides with womens day, also featured will be poetess and writer Naomi Foyle, singer-fiddler Elle Osborne and songwriter Katy Carr. We will be chatting live and performing live on air too, hope you can tune in. If you miss this show I will also be performing live on Brighton radio station Juice FM on Monday the 21st of March. Show starts at 10.15pm. During the month of April, myself and musical innovator Paul Chi will be doing a national house concert tour. If anybody in the UK or internationally would like to host a concert in their home please email me. I would be interested to keep a database of people who are open to this concept. Details of this tour will be posted on the Gigs page soon. Also there is a Magic Baby website up now. I went to a gig tonight at the university and I saw a great new band called The Hat. The music was a blend of spoken word and funky beats delivered by charismatic front man Dan Clark and co. I think they had a distinctly Brighton style which I would describe as eccentric and whimsical. It always amazes me the breadth of talent in this small city. I don't know why the music industry keeps sending their A&R representatives all the way up north when all they need do is jump on the train at London Victoria and head south for 40 mins. This is where it's happening, Brighton is a creative volcano about to erupt! watch out! The last song 'Magic Baby' is also on The Hour Lilies CD. You can hear a sample of it on the music + video page. Also featured on the EP is Paul Chi (aka Mrs Chi for his love of wearing skirts and dresses ).All songs are written and performed by Chris and I and the EP is now available to buy from the shop. More info and MP3's coming soon. A while ago I put a little video clip of Magic Baby on this news page. The song we are performing is called Sugar Cube. If you would like to see it again or have not seen it and would like to click here. The Hour Lilies has just been reviewed at Musical Discoveries click on link to read it. By the way, I just bought Ron Sexsmith's new album Retriever and it's absolutely gorgeous! Thanks again for everyone's support and encouragement over the years, it means alot to me. Hello people, my friend Azita took this photo of me on Brighton beach next to the decrepit West Pier. The more photo's she took the sillier my poses became. Here I am attempting a yoga pose correctly termed Virabhadrasana 3, but I should have had my arms forward and palms touching ( incase anyone wants to try it, it's a good one! ). Actually, it's not unusual to see people practising Yoga or Tai Chi on the beach here, it's that kind of place. Well... I would like to take this oppurtunity to wish everyone a Happy New Year and also to say some thankyou's. Many thanks to Jack Mcangus for maintaining the web page, Rose Polenzani, Bryna Ziobro and Josh Cole for making the US tour happen and all friends and family who let us stay with them and fed us ( Denise and Duby, Deborah, the Ziobro's, the Polenzani's, Wayne and his dog, Chris in Madison, Matt, Christian in NYC, Aphsoon, Rose's friends in Minneapolis ). Jesse for lending me his US mobile phone, Peggy and Ethan for cooking us dinner in NYC. Gary Waldman for helping us out of a sticky situation. 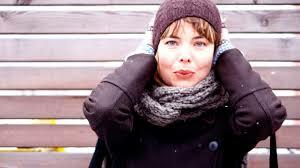 Mellissa Mclelland and Insomniac management for looking after us in Canada. Harry Shier for coming up with the design for my album cover, Chris Kirkland for designing it and for posting my drivers liscense to the US which involved tracking my friend down getting the keys to my flat and then locating it in my draw. Chris Page and Peter rainbird for helping with the running order of the tracks on the album. Charlie Villiers, Dave Roncetti, Mrs Chi, Mr Kirkland and Peter rainbird for lending there creative energies. Phill Ias for lending me his studio monitors and Dat machine. Azita Ghassemi and Tomas Shelp for photography. Tim Lowly for starting the ball rolling with the first booking in Chicago, Yael at the Quaker House, Natalie and Sandra for the wonderfull house concert in Washington, Mclelland House for the concert in Ithaca and thanks to all other promoters who booked our shows. Thanks to all my Brighton friends and Healthy Concerts people, and finally thanks to everyone who visits this site, comes to the shows and supports independent music. May the new year bring more peace, more love and more happiness. Rainbird. He played electric guitar and I sang. Amazing! we get it right away and go with the first take. Toronto...here I am...had a couple of days off catching up with family I have not seen for years. Yesterday I met with my uncle Ronald who is a wonderfull magician. Apart from chatting and catching up he showed me various card tricks which I was completely stunned by and even taught me one, but I had to swear I wouldn't tell anyone how to do it, " don't even tell your dad " he said in a serious tone " OK " I promised excited to be let in on a secret. The past couple of show's were interesting as I lost my voice completely ( due to laryngitus ) and had to get Rose and Josh Cole ( our tour manager and fellow songwriter ) to sing my songs for me. Although it was a bit depressing not being able to sing my own songs myself, I got a kick out of hearing Rose and Josh sing the songs. Especially suprising was hearing Josh perform ' Lost Soul '. He sang it really beautifully and it was refreshing to hear it sung by a man. Today we head to Hamilton and I am hoping for a little miracle that my voice will recover for tonights gig. Thought you might like to see the press release for the US tour and hear the story of how I came to know Rose. Sharon Lewis received an unexpected package at her flat in Brighton, England last year: A homemade tribute record to herself. American songwriter Rose Polenzani (who had long cited Sharon’ now-defunct duo Pooka as one her most important influences) had spent the late winter recording covers at home and while busking in the Boston subway. Rose wanted Sharon to know, especially in the wake of the duo’s breakup, that her music had meant the world to someone she’d never even met. Meanwhile, also in the bitter cold, Sharon was busy bringing the House Concert Movement to the UK. 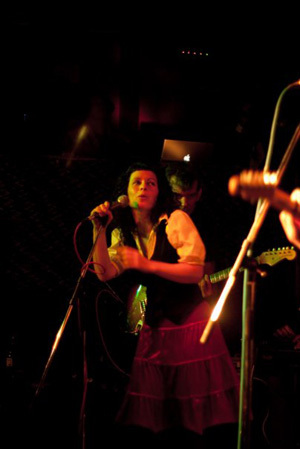 She invited Rose to Brighton (her first-ever trip off the mainland), and they performed together, to the ardent delight of a crowded house on August 2nd, 2003. Live video of Magic Baby performing in a living room featuring myself, Chris Kirkland and new magic baby Paul Chi. Click here to watch. On Kuma-chan records, Hot Hands - a tribute CD to Throwing Muses and Kristin Hersh. This album is a collection of covers performed by various musicians including one track, a collaboration between myself and Rose Polenzani. The track we chose to cover was Ellen West and was recorded whilst Rose visited England last year. Rose came up with the idea, we jammed, it sounded great and so the next day we went into the studio and it was done! And the line up for the track is: Rose - Guitar, Vocals, Sharon - Piano, Vocals, Percussion, Chris Kirkland - Double Bass. It's a nice bit of nostalgia for me to cover this song, since my first American tour with Pooka was supporting Kristin Hersh. Here is a photo of Rose, taken on the last night of her stay in Brighton. 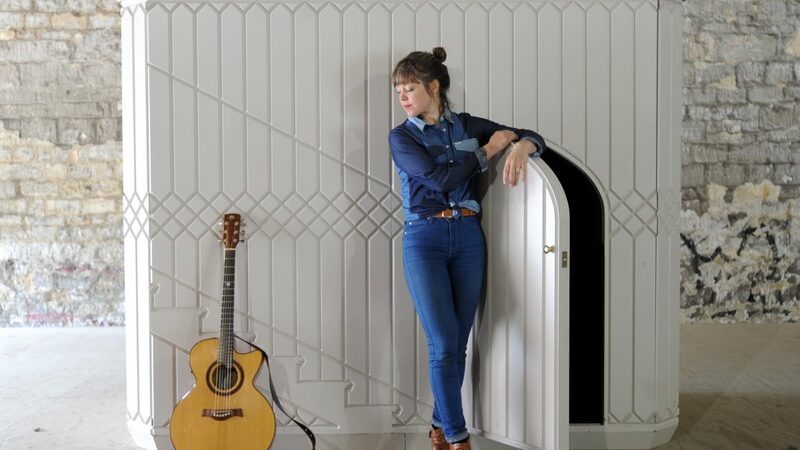 For those of you who don't know Rose, she is a very gifted singer and songwriter from Boston. I had the pleasure of meeting her and her friend Bryna last summer when they came to stay for a week. It was definately my favourite gig of the year! Rose also recorded a CD with her singing some of mine and Natasha's songs that we wrote in the Pooka days. Such a huge compliment, and her voice and her arrangements of the songs were truly wonderfull.